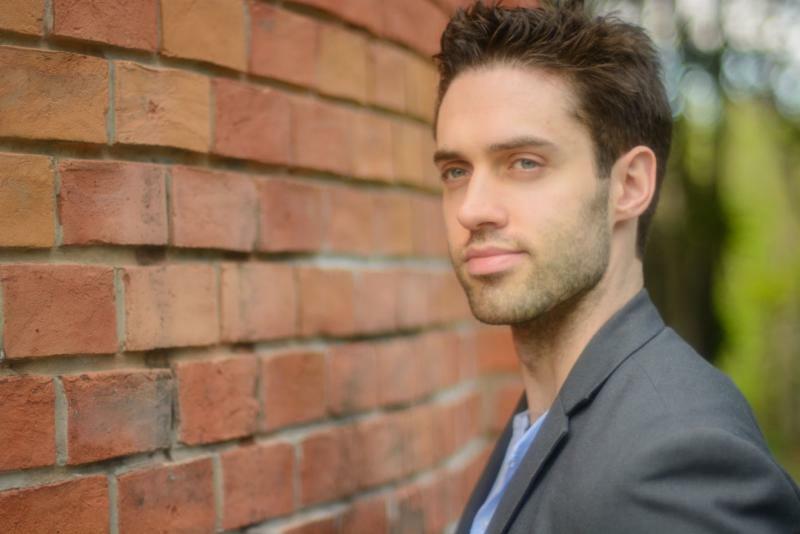 Rochester native Tobias Greenhalgh, one of 5 upcoming lyric baritones featured in the June issue of Opera News magazine, will be presented by Rochester Lyric Opera in concert at the Lyric Theater, underwritten by Hon. John C. Ninfo II and Judith Ranaletta on Saturday, October 1, 2016 at 7:30 p.m. There will be a special piano dedication by the Opera Guild of Rochester. General admissions $25, $20 for seniors. Tickets can be obtained at the door or on the website of Rochester Lyric Opera. Argante (Rinaldo), Cecco (Gli Uccelatori), Le Directeur/ Gendarme (Les Mammelles de Tiresias), and Ramiro (L'heure Espangole) at the Wiener Kammeroper in Vienna, Austria. In addition to his work in Vienna in 2015, Tobias sang the role of Schaunard (La Bohème) with Palm Beach Opera and Argante (Rinaldo) at the New Bolshoi Theater in Moscow, Russia. Tobias also made his European recital debut in April 2015 in Vienna, and sang Carmi in a concert version of La Betulia Liberata with Bach Consort Wien. Upcoming engagements include Cold Genius/Aeolus (King Arthur) at the Gärtnerplatz Theater in München, a leading role in an upcoming production for the Opera Theatre of Saint Louis, Leo Stein/ Man Ray (27) with the NY Collegiate Chorale, Dr. Falke (Die Fledermaus) at the Franz Lehàr Festival at Bad Ischl, Samuel (Pirates of Penzance) at Palm Beach Opera, Ned Keene (Peter Grimes) at the Theater an der Wien, Escamillo (Carmen) and The Father (Hansel and Gretel) at the Wiener Kammeroper, and Morales (Carmen) with Palm Beach Opera. Recently, Tobias has collaborated with Czech choreographer and dancer Martin Dvorak to create a newly-staged version of Schubert's Winterreise, which he will perform several times in Central Europe this season. Tobias will be giving recitals in Vienna, Brno, Prague, Palm Beach, and Opava. Previously as a Gerdine Young Artist at the Opera Theatre of Saint Louis, he created the roles of Leo Stein and Man Ray in the world premiere of Ricky Ian Gordon's 27 (released on Albany Records) and sang Samuel (Pirates of Penzance). He also joined Wolf Trap Opera as a Filene Artist, singing Le Mari (Les mamelles de Tirésias) and Le Dancaïre (Carmen) and, as a former member of Palm Beach Opera's young artist program, sang Figaro in family performances of Il barbiere di Siviglia as well as Fiorello in the company's mainstage performances and Hermann/ Schlémil (Les contes d'Hoffmann). On the concert stage, he has sung Bach's Saint Matthew Passion with Soli Deo Gloria, The Druid Priest in Mendelssohn's Die erste Walpurgisnacht, and Vaughan Williams' Five Mystical Songs with Saint George's Choral Society, as well as joining the Opera Orchestra of New York for a gala concert at Alice Tully Hall. He was presented by the Brooklyn Art Song Society in a recital of Wolf's Mörike Lieder with the Brooklyn Art Song Society and joined the New York Festival of Song for three concert programs, and was a Schwab Vocal Rising Star at the Caramoor Center for Music and the Arts. Additionally he was a vocal fellow in the 2013 Toronto Summer Music Festival. Mr. Greenhalgh is a recent graduate of The Juilliard School, from which he earned both his Bachelor of Music and Master of Music degrees. In his final year at Juilliard, he sang Malatesta (Don Pasquale) and the Ferryman (Curlew River) following previous performances of Demetrius (A Midsummer Night's Dream), Aeneas (Dido and Aeneas), and The Voice of Pokayne in Maxwell Davies' Komilitonen! He is a first place winner of the 2013 Liederkranz Competition in the opera divison. In past seasons, his other competition wins included grand prize in the Metropolitan International Music Festival Competition, first place in the Mario Lanza Competition, second place in the Oratorio Society of New York Competition, third place in the Gerda Lissner Competition and the Nico Dostal Operetta Competition, an encouragement award in the Marilyn Horne Song Competition, career grants from The Licia Albanese-Puccini Foundation, The Bel Canto Scholarship, Giulio Gari Foundation, Opera Index, and finalist in the Operalia Competition. Additionally, he is the co-creator of Operation Superpower, a superhero opera for kids that promotes an anti-bullying stance from early school years. The program was recently featured on a PBS Newshour special on entrepreneurship in the classical arts and has been performed by the Canadian Opera Company, Opera Saratoga, The Peoria Symphony, and Young Audiences. 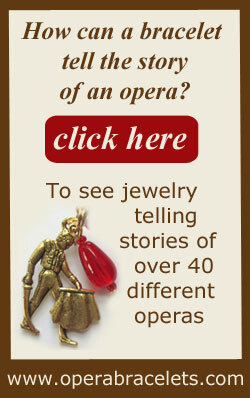 The Guild organizes informal group trips to the Metropolitan Opera in New York City. The Guild will buy tickets and make group hotel and restaurant reservations. Participants are responsible for their own travel arrangements. You need not attend all three operas nor join the group for meals. See Met HD Season, above, for links to opera casts and descriptions. In the summer of 2017 Nickel City Opera will put on a production of Bizet's Carmen. Details of date and place for the performance and artists, cost of tickets will be made available at a later date. On Monday July 25 the Opera Guild of Rochester enjoyed its yearly opera bus tour to the Glimmerglass Festival for the almost unknown (in the United States) Rossini semi-seria opera The Thieving Magpie. The thunderstorm and rain took nothing away from us to see and hear this wonderful production. After lunch at the Thaw pavilion we had a private introduction by principal coach Christopher Devlin, who patiently answered many questions from the group. I had studied the productions on DVD from the Opera Cologne (Germany) and Bologna (Italy) and the two CDs from the Garsington Opera (England) and the Wildbad Festival (Germany). The Glimmerglass festival production could stand up to its European competitors. The Magpie itself was represented by a colorful dancer, who before the start of the opera and in the intermission moved through the crowd and was very interested in their jewelry as you can see in the picture. She was cleverly birdlike in her movements and often had to retreat into a cage on the stage where she hid shiny objects. The music of the beautiful and well-known overture, also heard intermittently throughout the work, helped us to fall in love with the opera. Rachelle Gilmore, the coloratura soprano who sang Ninetta, the simple servant girl, accused of stealing the silver cutlery of her employer, gave a brilliant musical performance. She effectively portrayed her pain at being falsely accused and showed her courage in refusing to implicate her father, a fugitive from the law. I agree with Richard Osborne's analysis in the notes, that Rossini and Gherardini foreshadowed the verismo operas at the end of the 19th century, the father/child relationship of many Verdi operas in Ninetta's love for her father, and the reminder, in the village mayor's pursuit of Ninetta, of Scarpia's pursuit of Tosca almost 100 years later. Our dinner on the way back to Rochester at the Brewster Inn in Cazenovia was delicious and allowed us a lively exchange of our impressions of the opera. I hope that other companies in the United States will bring this opera to their audiences to enjoy and get to know. Our thanks to Helga Strasser for organizing our Opera Guild tours. The Glimmerglass production was delightful, and offered a visual twist by adorning all the costumes with feathers. 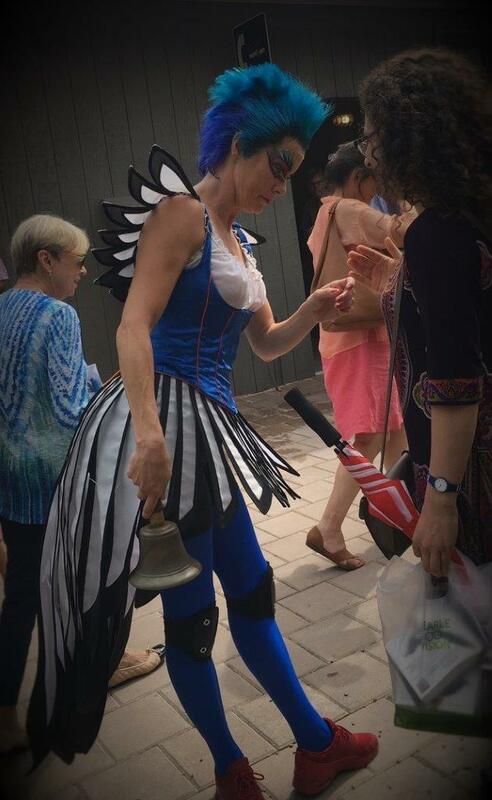 Meg Gillentine's performance as the magpie was wonderful, prancing around with the movements of a rascally bird. In this photo you can see her in character as she herded the audience back into the theater after intermission. The Guild is fortunate in having several new volunteers this year who are helping us expand our reach and provide continuity for the organization. Lida Moore of Penfield is our new Assistant Publisher for Viva Voce. Lida has prior publishing experience and is using her considerable computer and editing skills to work with our email server, Constant Contact. Lida and her husband Vernon, who is retired from the Air Force, are the proud parents of four daughters. Scott Horsington of Rochester has been working on publicity for us. Scott is an adjunct professor at SUNY Brockport, where he teaches music courses, directs the College-Community Chorus, and is Coordinator of Ensembles. He has completed his Bachelor's and Master's degrees in Music, and expects a Master's degree in Public Administration, with a Certificate in Arts Administration, in 2018. Ruth Leubner of Fairport, a retired teacher, is now assisting Agneta Borgstedt with preparing material for the newsletter. Ruth always enjoyed sharing her love for classical music with her children and her son, Eapen, now has a successful career as an opera tenor. He gave a fine performance here a few years ago as the young lover in Haydn's The Apothecary.